Home Great Neck News Letter: Is Great Neck Listening? • The Board of Education has approved an additional 100-car parking lot extension on the corner of Polo and Beach roads for high school seniors. • $700,000 of our hard-earned taxpayer dollars are being wasted on a parking lot for 2 percent of the student body, instead of benefiting from and building better STEM programs, air conditioning, security and more. • Traffic, congestion, parking lots and safety issues are being disregarded by the Great Neck Public School. Is anyone concerned? • The roundabout circular in front of Great Neck North High School has no crossing guard, students get let out into oncoming traffic—and now we are adding 100 cars to the mix? • There is no sidewalk on Beach Road and students have to walk in the street. How can they do so safely with 100 more cars on the block? • Emergency vehicles cannot pass during arrival and dismissal times. • The SEQRA study for the environmental concerns of what the effect of development will do to the water and drainage issues of the block, which are already a concern, is not completed. This likely indicates that there are unresolved water drainage issues. 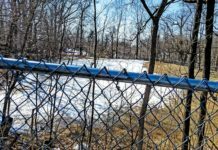 • Great Neck residents who wish to protect our environment: Why are we allowing black tar on a beautiful soccer field, destroying a residential street? • Decrease peer pressure on students who feel they need to drive a car to school for social reasons and increase community responsibility. • An existing parking lot owned by the Board of Education, Parkwood, is only two blocks away at a cost of zero dollars. 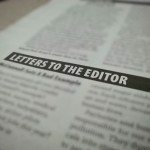 Students could use it, dispersing traffic, enhancing safety, preserving the environment and our finances, yet the school board is disregarding it. Great Neck: If you value your “village feel,” value your safety on every block, value better schools which spend each dollar on meaningful educational programs, then don’t allow this money to be wasted on a parking lot. By building the lot, we are condoning waste on so many levels. Students who don’t arrive on time to get the choice 80 on-campus parking spots should be able to walk responsibly, a block past Great Neck North Middle School, where there is security at all times. Please listen and speak up. The Board of Ed follows the parents’ mandates, but who listens to the mandates of the Village of Great Neck citizens—senior citizens, students and all residents of Great Neck, of all ages, who value where we live? Who will listen to the parents and residents of Great Neck who want to use the funds for more STEM classes, increased security and so much more? In the library election we witnessed this past year, Great Neck residents galvanized into action and spoke up for what is right. Please speak out now. Write letters to the administrators, the Department of Education, your congressman and state senators. Do so now as the beautiful village we value will forever be marred to accommodate a Walmart-size parking lot. You sound like a whinny entitled Great Neck *****. Maybe grow up and realize there are more people than just you in the World. And you sound like a Great Neck parent who feels their spoiled children should have more when they shouldn’t! What is so wrong in saving the trees?! We need more trees in our world not less!